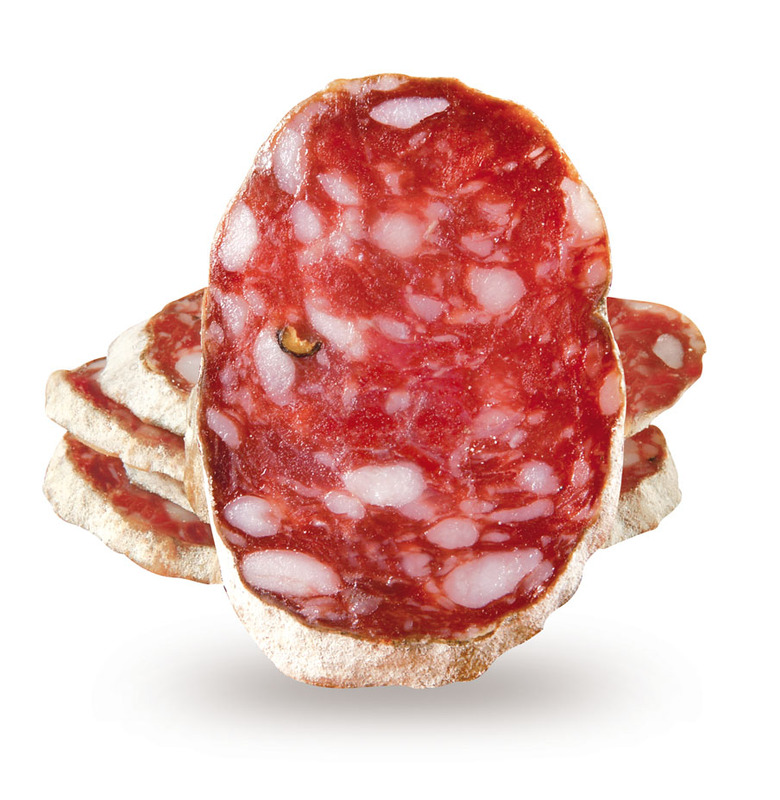 Salame Brianza is produced with beef, pork exclusively, from farms in the Lombardy, Emilia Romagna and Piemonte. The “recipe” unique and inimitable regulates strictly the ingredients and their quantities. It is fine-grained product (4-4.5 mm) and coarse grinding (grinding 7-8 mm). The drying and curing are conducted according to well-established rules governing times and methods, depending on the diameter of the sausage. Salame Brianza is produced in a wide range of sizes and formats, from snacks to nibble use large format, the pre-sliced ​​and pre-packaged products to whole salami. Even the final characteristics of the Brianza Salami are unmistakable. When cut, the slice is homogeneous, of ruby ​​red color, firm and compact. The scent is delicate and characteristic, the taste very sweet and never acid.